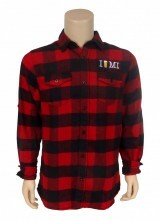 Click the button below to add the MEN'S FLANNEL SHIRT, RED/BLACK BUFFALO PLAID to your wish list. 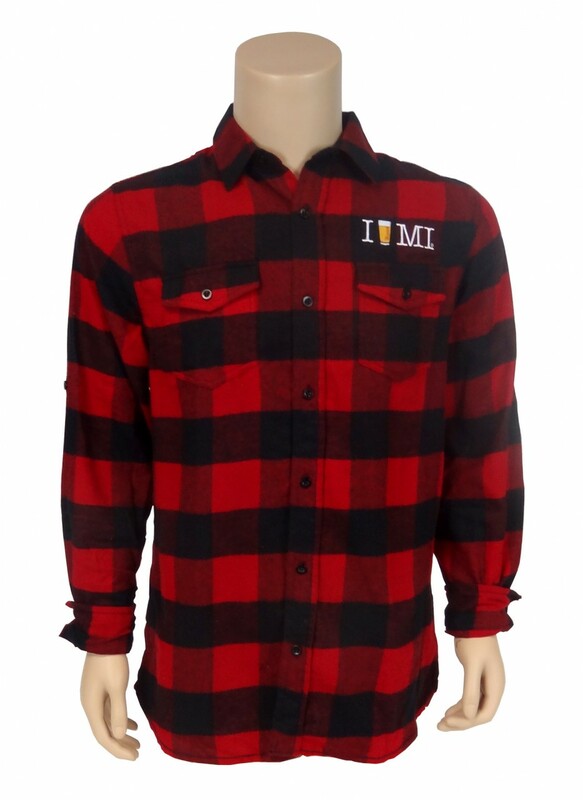 Yarn-dyed long sleeve flannel shirt, 80/20 cotton/polyester blend has 2 chest pockets with button-down flaps, roll-up sleeve with button placket, adjustable cuffs, half back yoke and black neck tape. "I Beer MI" logo above left pocket and Michigan The Great Beer State logo on upper back yoke.